Wednesday already!? Yes, I can feel the nostalgia! 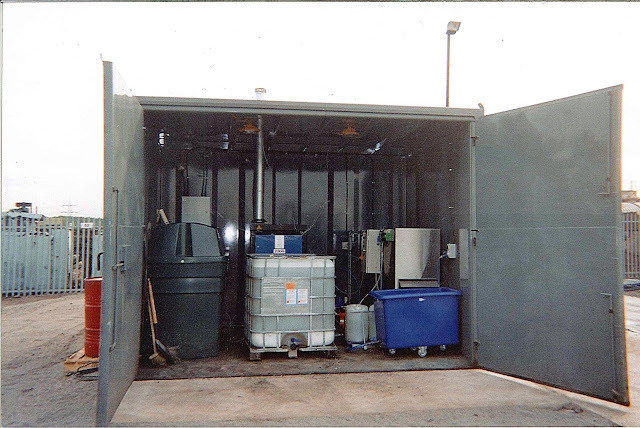 This week, a look at a very tidy, large, steel container. It is a water reclaim and recycle unit, with special filtration for plastic pellets. From only about 10 years ago, this seems a lot of equipment now, especially as the new Morclean WashKube can reclaim and recycle water using less than a third of the space. 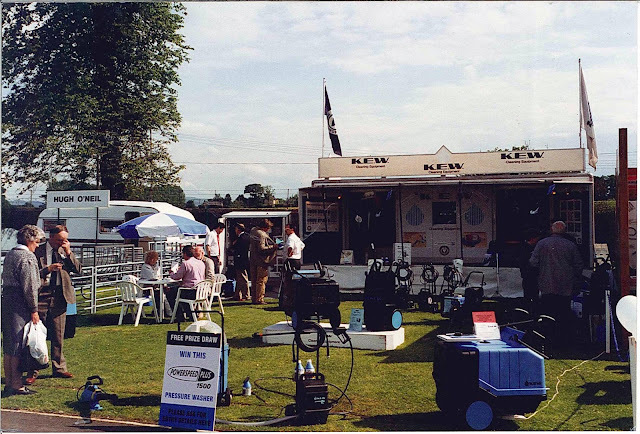 This rather pleasant scene is found at Bakewell Show, (which incidentally still happens, missed it! Can we go next year?) Bakewell is a picturesque town not too far away from Morclean HQ. Early eighties, selling the latest range of High Pressure cleaners. Retro fix complete, look out for next weeks post!